If a company’s IT platform was a human body then the network would be the circulatory system. It is the central (and hopefully reliable) distribution system that is the lifeblood of the modern business. Without the network business grinds to a halt and revenue and customer satisfaction is impacted. Modern advancements in the technology infrastructure of business have put increased demands on the network and emerging technologies such as Software Defined Networking (SDN) are stretching the longstanding architectures that have dominated the enterprise network for the past 20+ years. Here at Hazenops we employ seasoned pre- and post-sales experts that are here to help customers like you navigate the rapidly shifting world of networking. Our engineers have helped companies from startups and Fortune 500 stalwarts understand, evaluate, and implement networking technologies from the simple to the complex, from one site to three hundred. 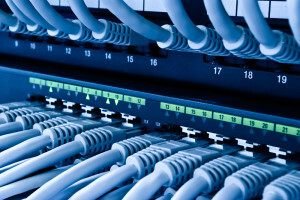 Let us help you find the networking technologies that are a perfect fit for you.